Cupping Therapy is one of the most ancient therapeutic treatment of oriental medicine that is used to heal and relax the special areas of the body by developing vacuum pressures through suction cups. This treatment has been successfully used to relieve the patients of neck pain, anxiety, migraine, rheumatism, stiff muscles, fatigue, asthma and skin conditions. Cupping therapy in Dubai & the Middle East region is referred as the ‘Hijama’ as well. 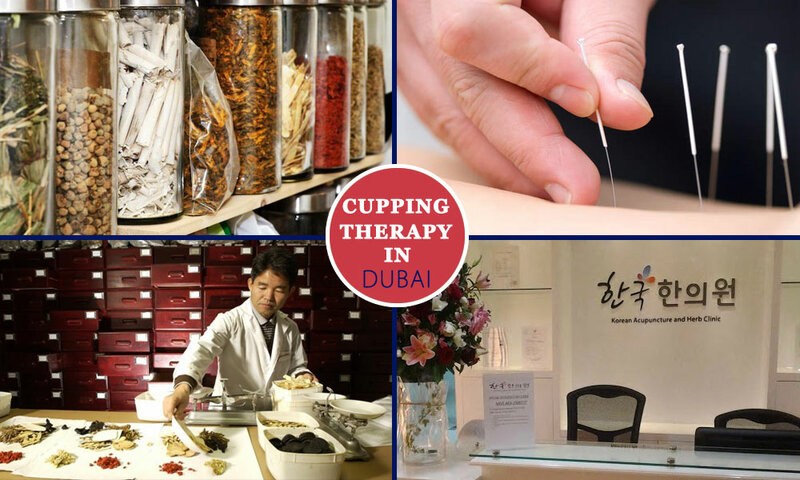 Dubai has numerous Cupping Therapy Centers, which offers first class therapeutic treatment to patients with different ailments in collaboration with expert therapist and consultant doctors. Assembled here is a list of some clinic and medical centers that offer Hijama/Cupping therapy to heal and treat a number of physical conditions in Dubai. Kind Care Medical Center is a community healthcare provider that also specializes in therapeutic treatments such as cupping and acupuncture. This contemporary medical center offers a wide array of services that aim to diagnose, prevent and heal patients. You can get yourself a session of cupping therapy in Dubai, if you experience pain in any part of your body. This treatment is equally beneficial for stress issues and skin problems. Kind Care Medical Center is located at Villa 794, Jumeirah Beach Road, Dubai. You may also dial 04-33-88-5-88 to make a slot reservation. The clinic remains open from Saturday to Thursday between 9:00am to 8:00pm. Korean Acupuncture & Herb Clinic is the pioneer of Chinese Acupuncture Center in Dubai. The clinic upholds expertise in Electro Acupuncture, Heated Acupuncture, Cupping and combination of these therapies; depending on the ailment and body conditions of every individual patient. Korean Acupuncture & Herb Clinic mainly offers cupping therapy in Dubai for chronic headache, stress, anxiety, migraine, neck pain, sprain, low back pain, depression, acute or chronic low back pain, fibromyalgia, shoulder pain, rheumatoid arthritis and osteo-arthritis, post-surgery rehabilitation, pain management, stroke rehabilitation, fertilization, weight loss, facial palsy and sports injury. You can reserve a slot at by dialing +971-4-431-2544 and visiting Block-A, Building no. 64 (Al Razi), Dubai Healthcare City – Dubai. Dubai Traditional Chinese Medicine Clinic is the individual branch of Kind Care Medical Hospital and specifically focuses on Chinese medicines and methods of treatment. It is one of the finest spots to get Hijama that specializes in Chinese medicine and therapies including cupping therapy. The clinic uses the finest blend of natural ingredient and ancient methodologies as remedies. It offers Dry Cupping Therapy in Dubai, which involve only Suction as well as Wet cupping which involves a combination of suction & meticulous therapeutic bleeding; that actually result in detoxifying body from impure blood and enhancing the blood flow simultaneously, which make your body to be more relaxed than usual. The clinic is situated at Villa 794, Jumeirah Beach Road, Dubai. These are some of the best centers for cupping therapy in Dubai. If you have tried one of the above places and would like to share your experience, please add comments below.